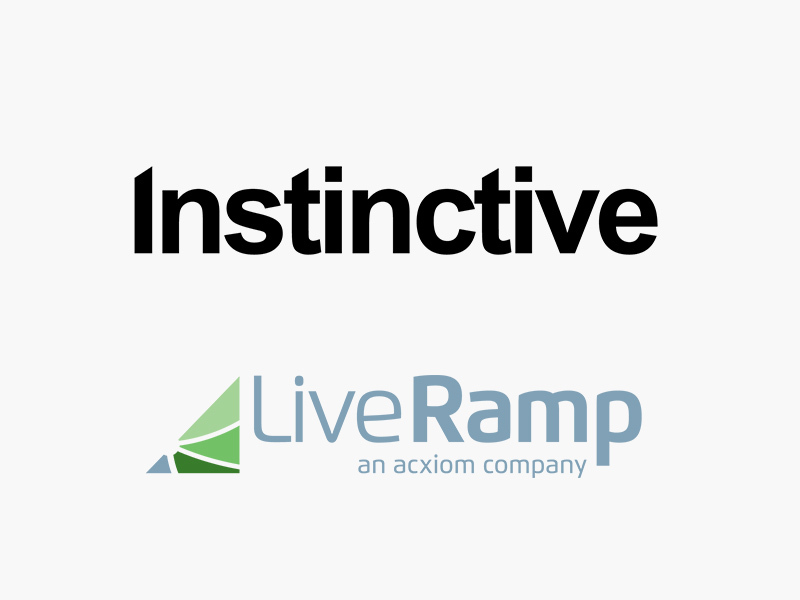 Instinctive, the leading native content syndication platform for brands, today announced that it has partnered with LiveRamp, the leading provider of data onboarding and connectivity services. The announcement coincides with RampUp 2016, the premier conference for leaders in AdTech hosted by LiveRamp. Instinctive uses native advertising, an ad format that matches the look, feel and behavior of the surrounding content for seamless integration, to help brand advertisers generate the highest viewership and engagement rates across the digital advertising ecosystem. LiveRamp enables advertisers to quickly and securely anonymize and transfer their offline first-party data to their preferred media vendors in a privacy-safe way. This brings a new ability to merge offline sources with rich online profiles and segments to create more accurate and reliable campaign strategies. With the integration, any brand that syndicates native content across Instinctive's network of premium publishers can now use proprietary first-party data to reach their desired audiences through sequential storytelling. This goes beyond traditional audience segmentation and creates smart journeys with multiple stages and touchpoints for consumers, based on relevancy and interest through the first-party data feedback loop. "Native advertising represents an innovative area of digital advertising that is ripe for growth," said Travis May, President and General Manager, LiveRamp. "Our partnership with Instinctive extends another layer of optimization and performance to brands that are beginning to embrace native as a primary tool in their digital ad strategies." "After rolling out several campaigns for major brand advertisers representing thousands of pieces of content, our analytics show that native content excels in capturing consumer attention, consideration and mindshare," said Mani Gandham, CEO, Instinctive. "We have built on that solid foundation by using intelligent data-driven funnels to tailor the experience to each individual consumer. Our integration with LiveRamp now further enhances our campaigns with a constant feedback loop using first-party data directly from the advertisers. This will dramatically increase our messaging capabilities, leading to even better results and ROI for our clients." LiveRamp connects more than 250 digital marketing platforms and data providers. We help marketers eliminate data silos and unlock greater value from the tools they use every day. By onboarding and unifying customer data across disparate systems, we provide the connectivity brands need to reach consumers across channels and measure the impact of marketing on sales. LiveRamp is an Acxiom company. For more information, please visit www.LiveRamp.com.